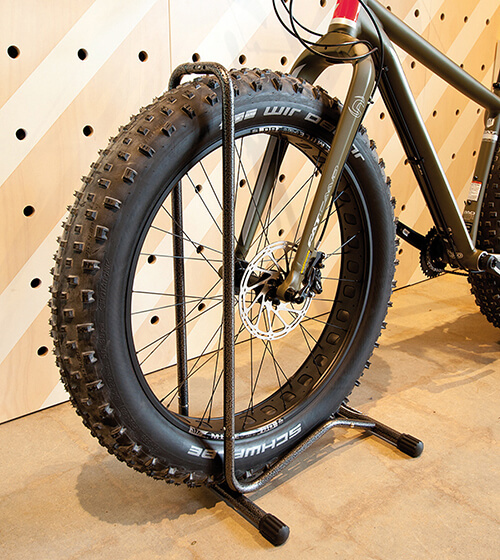 Suits bikes from 20″ wheels up to & including 29″ wheels with up to 2.5” tyres. 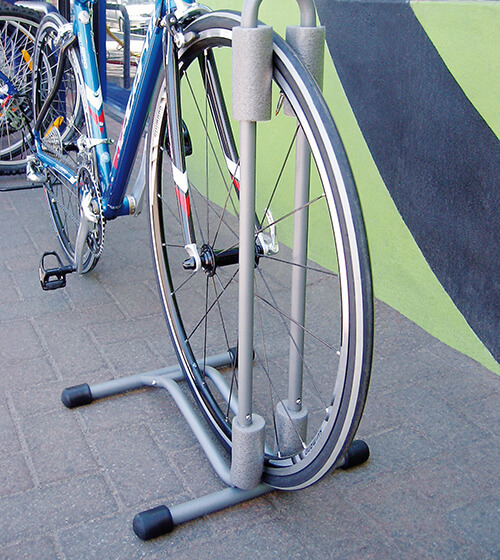 Provides a stable, strong & neat stand to park or display your bikes. Superstand has a footprint no wider than your bike, so very space efficient. Simply wheel the bike into the stand with the front or rear wheel. or anywhere you need to display or park your bicycle. Willworx Bike Stands are the best bicycle storage solution for your bike parking needs. If you need a bike rack for your apartment, home garage or office; Willworx has bike stands in a range of sizes to suit your bike. 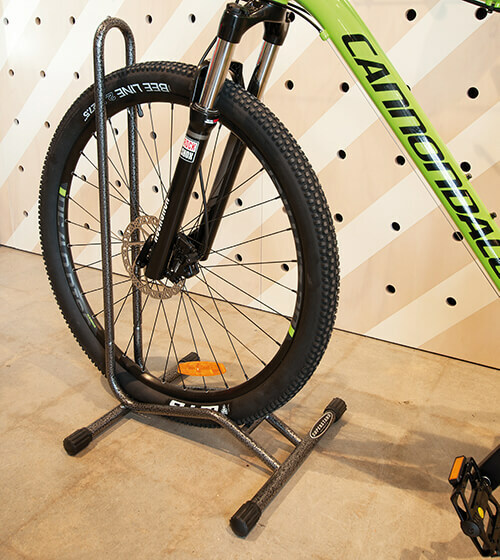 Our Superstands offer a simple and standalone solution to meet your bike storage needs, and unlike a wall mounted bike rack or bike hanger, it doesn’t require damaging your walls or ceilings with hooks or brackets. With a Willworx Bike Stand your bike is easily accessible and ready to go when you are! If you are interested in finding a commercial grade all weather bicycle rack for outside multiple bike parking then Willworx Superacks are for you. The Superack comes with stainless steel expansion bolts for securing in to concrete and security cables can also be used to prevent bicycle theft. These are great for City Councils, swimming pools, shopping centres, hire bike companies, or anywhere outside bicycle parking is required. If you are in retail and looking to boost your bike sales we’ve got you covered too, with a range of bike display stands for your bicycle shop or next trade expo. 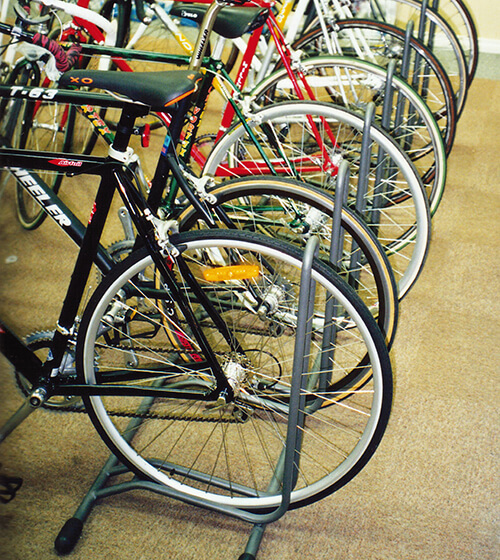 Single bicycle racks or multi-bike racks are available that are easily transportable, flexible, take up minimal floor space and can be stored compactly when not in use. If you are looking to stock high quality but affordable bicycle accessories in your store please visit our wholesale distributor’s page. To keep up with demand, we are currently looking for additional distributors of the Superstand so please contact us if you are interested.